Photographs are everywhere, and if you are looking to promote your business, there will come a time when you need some excellent photos to enhance your website or marketing materials. 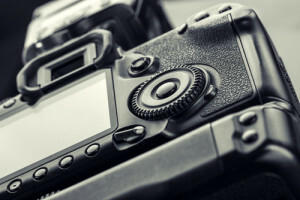 Businesses today have a variety of needs, which require photographers to develop a wide range of skills so that they can capture people, products, places, and food with artistic flair. If these photographs are successful, they will portray the company in a positive light, drawing attention to a company’s professionalism and individuality. Successful digital photography is an integral part of the visual side of many marketing efforts and, therefore, can make or break a business. When you consider creating a website or an advertisement, you may be focused largely upon the information you will communicate. However, photographs and graphics say just as much about your business as words do. In fact, some people respond to a website or advertisement without ever taking a company’s message into account simply because the promotional material is not visually appealing. Imagine, for instance, that you are choosing between two new restaurants for dinner. To learn more about each restaurant, you visit their websites. What you find upon visiting the first restaurant’s website is a dull site that is overloaded with text. The photographs that you do see make the food look bland and appear as though they were taken with a camera phone. By contrast, the second restaurant’s website is vibrant with numerous photographs that draw your attention to just how mouthwatering their food is. When all is said and done, chances are that you will visit the second restaurant. Such is the power of digital photography. Whether you need a photographer to promote your business or capture an important time in your life, you want a professional with an eye that can capture the artistry of the moment or object in question. Dallas photographer Doug Davis has such an eye, and it has helped him to exceed the expectations of a variety of clients. The scope of Doug’s experience includes commercial food photography with companies like Pepsi and Frito-Lay, product photography, lifestyle photography, and portraits. Therefore, if you have need of digital photography services, you can trust Doug to do the job right. About Doug Davis: Doug Davis provides commercial photography and videography services to a wide range of commercial clients in the Dallas TX area. His studio space, D2 Studios, exudes the artistry and creativity that defines his work. If you are in need of photography or videography services, contact D2 Studios by calling 214.746.6336.